The Japanese market is an attractive prospect for foreign companies that can succeed in it. In 2017, Japan accounted for 7.7% of the world's online economic potential, despite having just 3.2% of the global Internet-connected population ("Digital Opportunity: Top 100 Online Languages for 2017"). It's per-capita GDP is one of the world's highest, which makes it a prime market for high-value consumer goods. However, outsiders seeking to enter the market face robust competition from brands based in Japan that have global reputations for excellence. In addition, consumers in the country are well-known for their demand for top-notch quality in all aspects of their products. For high-value text, consider transcreation or dual authoring. Simple translation of marketing texts might work for some markets, but the results end up feeling foreign and clumsy in Japan. Give your localizers leeway to transcreate or even completely rewrite your content using the source as inspiration (“Which Level of Transcreation Works Best for You?"). It may cost you more to take this approach, but the results beat a bargain-rate translation that fails to meet your market objectives. Work closely with in-country vendors. Many of the companies we consulted have adopted a centralized localization strategy but make an exception for Japan. They find that multiple layers of MLV processes hinder the level of collaboration and care they need to get things right. This isn't to say that you should abandon a good MLV relationship, but make sure that your Japanese localizers have a direct line to your team for questions and concerns. Plan for customer support from the start. It doesn't matter how good your marketing and support collateral is if you do not have a plan to engage with the Japanese market. Make sure that you have support channels in place and that they are of the best quality. Use graphics. Japanese documents are known for their use of graphics. Taking this approach can help save overall localization costs for all languages, but is especially effective for Japanese. It reduces the volume of text you need to translate and makes many technical concepts clearer, especially for an audience that has very different expectations for how technical text should be structured. For non-technical texts, consider skipping your TM. Translation memory (TM) is usually a good thing, but it locks translators into a segment-oriented approach that is difficult for Japanese, where you may end up moving blocks of text around or re-writing content to meet local expectations. Using a sentence-level TM just ensures that you will repeat the same mistakes over and over. However, we do recommend using it for technical texts, where the benefits are obvious. Drop the italics. One of the most obvious marks of a dubious localization into Japanese is the use of slanted Japanese characters as an equivalent to italics in European languages. Japanese readers may be used to it and accept it, but only in the same way that Westerners accommodate "interesting" translations in low-price foreign consumer goods. Japanese has multiple equivalents to italics - which one you choose depends on what are using them for - and adopting them doesn't add cost or time to your process, but does show a level of care for detail that many companies do not have. Japanese may have a reputation for being a "difficult" language, but there is no reason you should not succeed in localizing for the market with a little knowledge and care. As long as you do not treat localization as an afterthought, but instead have a concrete plan for how to address the market, you can succeed in Japan. 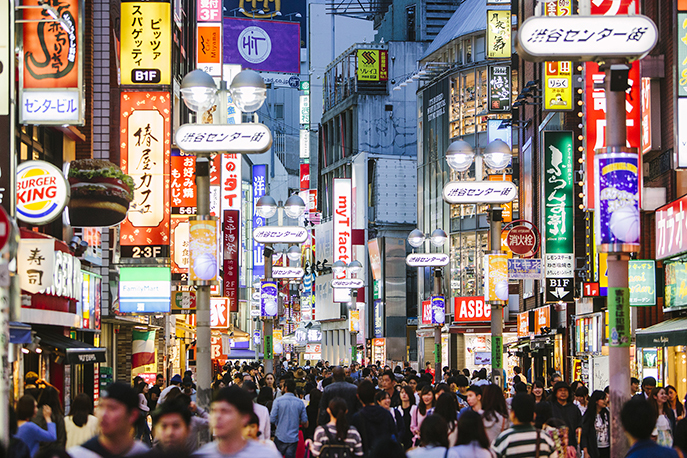 The six steps in this blog post will help you get started, but if you want to move to the next step and learn about how to improve your success in Japanese localization, consult "Guidelines to Ensure Japanese Linguistic Quality."